The infamous Tom Dooley was captured in Johnson County, on the banks of Doe Creek. And Blind Fiddler G.B. Grayson recorded the earliest version of The Ballad of Tom Dooley back in 1929. 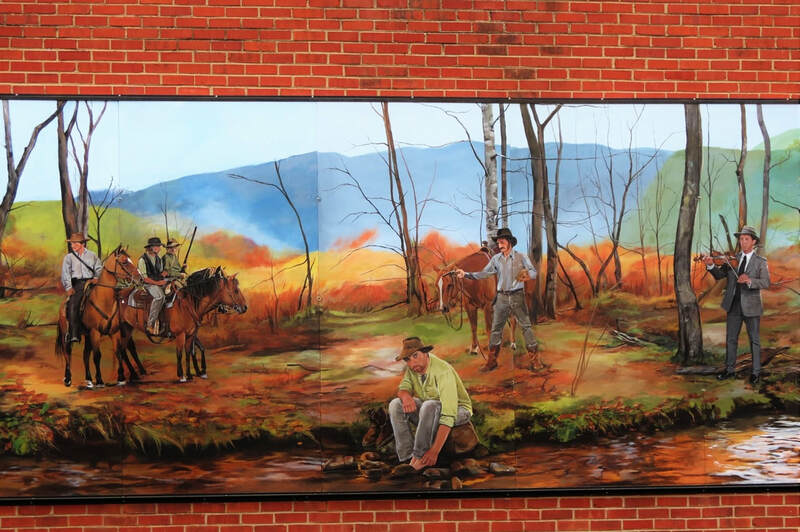 This mural depicts Colonel Grayson with a rock in one hand and a pistol in the other. 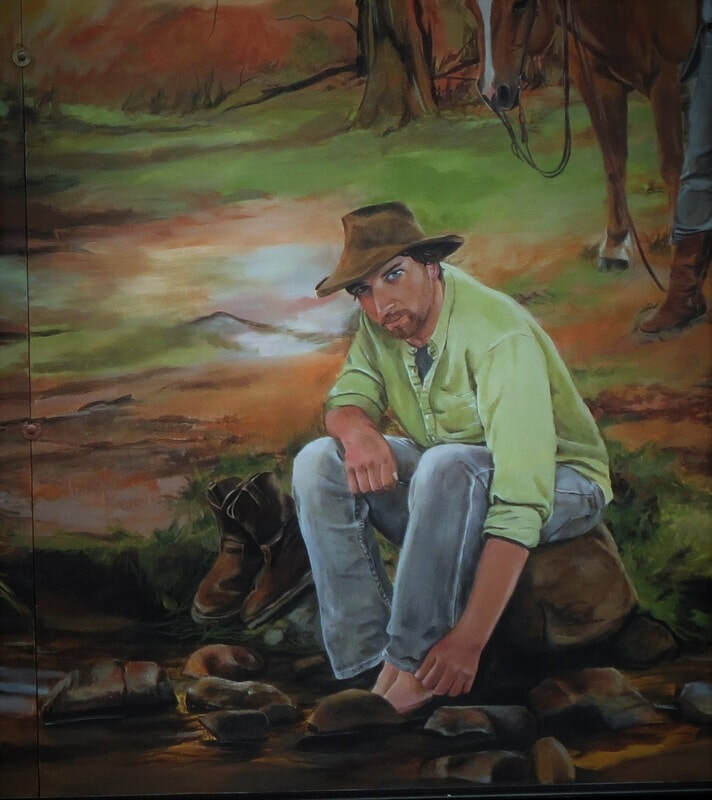 The legend is that he arrested Dooley with the rock and held the pistol on the North Carolina posse to keep them from hanging him on the spot. He made sure Dooley got home safely for a fair trial. 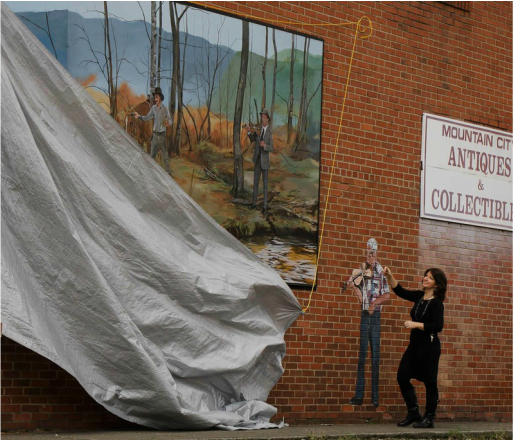 The man painted on the brick is beloved fiddle player and nephew of Colonel Grayson, Frank Grayson.